If you want a concise summary of Arsenal's ups and downs over the last decade, the best personification is Aaron Ramsey. Signed from under the noses of Manchester United in 2008, after Arsenal had challenged Sir Alex Ferguson's side for the Premier League title, Ramsey's purchase was typical of Arsene Wenger during that period: A young, promising technical midfielder who would make significant improvement. Ramsey's initial performances were composed but a horrific broken leg, suffered in February 2010, hindered Arsenal's run-in to that season and, for Ramsey, led to a long, slow period of recovery. By the time he returned, things had changed for the Gunners. 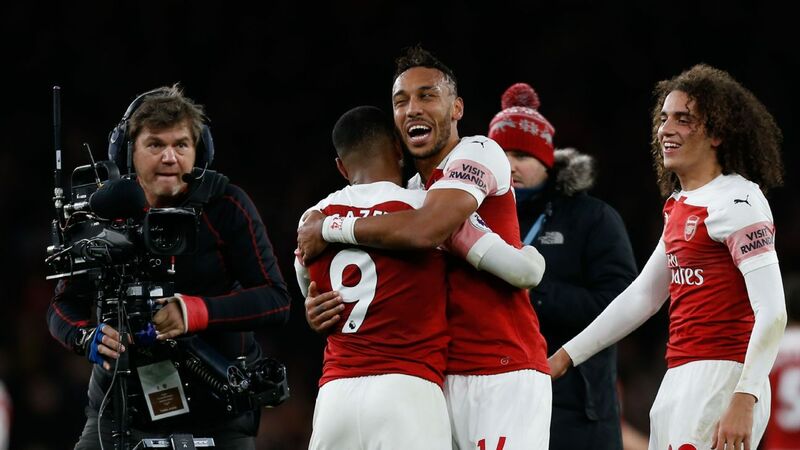 His first two full campaigns as a regular, 2011-12 and 2012-13, saw Arsenal badly off the Premier League pace, challenging for fourth place rather than the title. Ramsey was jeered by a section of supporters, who questioned precisely what the Welsh international contributed. In the early part of 2013-14, though, he enjoyed his best period in an Arsenal shirt at a time when the club was challenging for the title once again. Ramsey won the team's player-of-the-month award in August, September, October and November, combining energetic ball-winning with powerful runs into goalscoring positions. He was playing as impressively as any midfielder in the league, until the Christmas period when he suffered another major injury setback. A 3-1 win at West Ham saw Arsenal go top, but Ramsey suffered a thigh injury that kept him out for three months. By the time of his return, Wenger's men were battling for fourth again. While that thigh problem was nowhere near as serious as the injury at Stoke, perhaps it was more damaging; Ramsey had been threatening to fire Arsenal to the title. Since then, he has scored two FA Cup final winners, but Wenger's departure and Unai Emery's arrival has thrown Ramsey's future into doubt. In principle, his style seems perfect for Emery and he was fielded in his favoured No. 10 position for the opening game of the season, against Manchester City; Mesut Ozil and Henrikh Mkhitaryan, two more talented players who also favour that position, were shoved to the flanks. However, fewer than three months later and amid an ongoing contractual standoff with the Arsenal board, he has fallen out of the starting XI and appears set to leave. The timing of this revelation, ahead of Saturday's home fixture with Liverpool, is interesting for three separate reasons. First, because it was this fixture in 2013-14 that saw Ramsey announce himself as a top-class Premier League midfielder. He was man of the match in a 2-0 victory, scoring the second with a brilliant long-range strike. It epitomised his outstanding form during that period, when he was unquestionably Arsenal's star man. Second, because despite Ramsey being on the outside of Emery's favoured XI, he might start this weekend. With Matteo Guendouzi suspended and Granit Xhaka possibly needed at left-back again because of injury problems, Ramsey might have the opportunity to demonstrate his all-round qualities in a deep central midfield role. And third, because he has been linked with a move to Liverpool if he leaves the Emirates Stadium. Jurgen Klopp likes to work with box-to-box midfielders, especially those he feels can improve in terms of tactical understanding and the impressive form of Alex Oxlade-Chamberlain, after he moved from Arsenal to Liverpool last summer, will not have escaped Ramsey's attention. It seems remarkable that Arsenal have again risked losing one of their key players on a free transfer, after sagas last season involving Alexis Sanchez and Mesut Ozil, and it seems particularly odd that Ramsey is that player. This is not, like Sanchez and Ozil, someone accustomed to the likes of Barcelona and Real Madrid and therefore keen to return to a higher level. Moreover, Ramsey's professionalism has not been called into question. 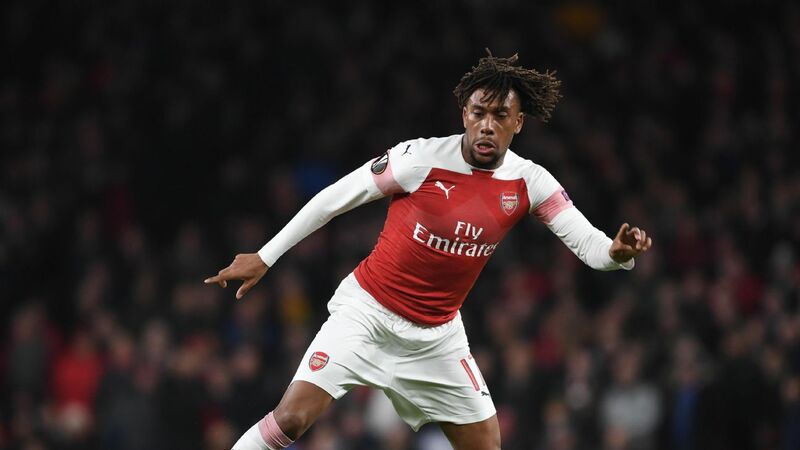 He captained Arsenal last season and, as the club's longest-serving player and theoretically at his peak age, appeared an obvious candidate for the role on a more permanent basis. There is an argument that Ramsey does not perfectly fit any particular role in Emery's 4-2-3-1, but where would he go to play box-to-box in a 4-3-3? Liverpool, Chelsea and Manchester City are overloaded with players in that position. Meanwhile, Manchester United do not represent a clear improvement in terms of status and a move to Tottenham would be difficult for obvious reasons. A move abroad would make more sense, but Ramsey's qualities seem well-suited to the Premier League. For all the reports suggesting that Ramsey has been told that his contract will not be renewed, you suspect there is more to come with this story. He has six months left on his deal and there is no reason why, if he gets an opportunity alongside Lucas Torreira, they cannot strike up a balanced and harmonious relationship. Ramsey is 28 next month and knows his next contract will be the most lucrative of his career. Despite the potential that might exist elsewhere, though, staying at Arsenal seems the most logical move, for both player and club.